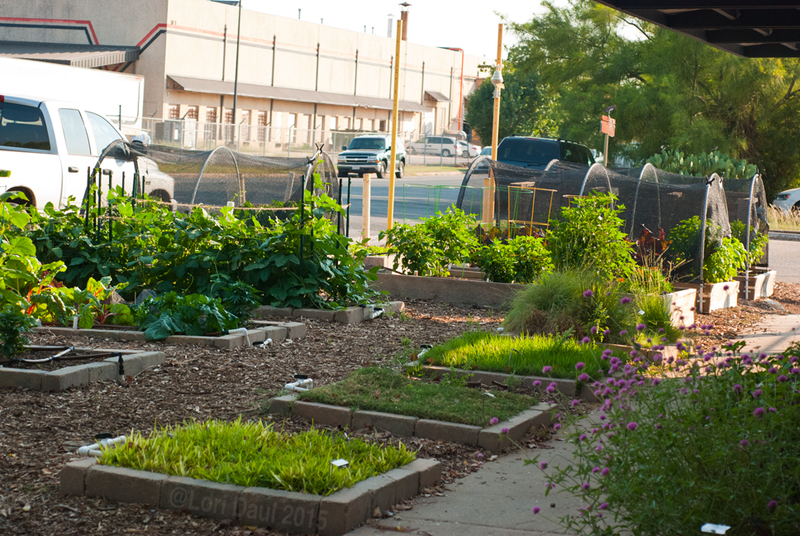 The only public garden on the tour, the AgriLife Extension Demonstration Garden was created and is maintained by the Master Gardeners. It’s a space for experimentation and for the demonstration of various horticultural techniques. On display are several kinds of compost systems, vegetable beds featuring seasonal herb and vegetable varieties, squares of different turf types recommended for Central Texas, tough adapted roses, and plenty of flowers to appeal to butterflies, bees and other pollinators, as well as the occasional human. Here’s a shot looking east from the vegetable garden. The shade structure on the left is still in the construction phase and will be part of a rainwater collection system. Here you can see the turf and vegetable beds. 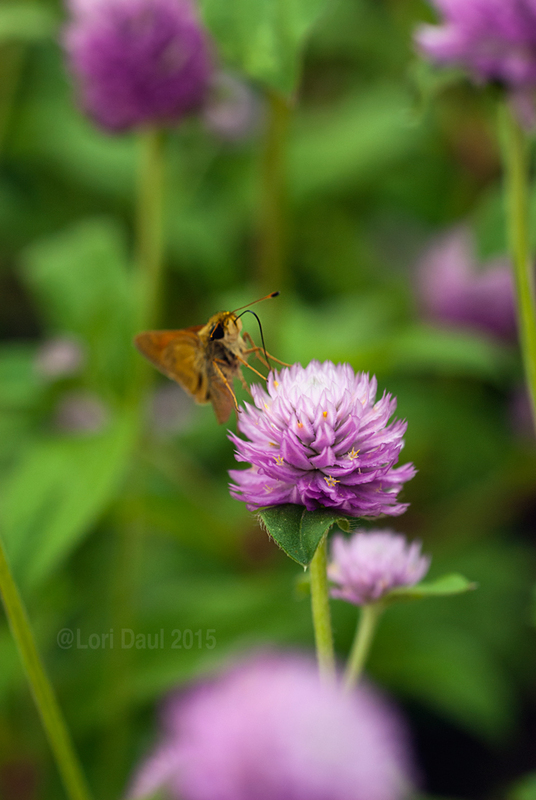 It’s quite a contrast with the starkly industrial neighborhood surrounding the garden! 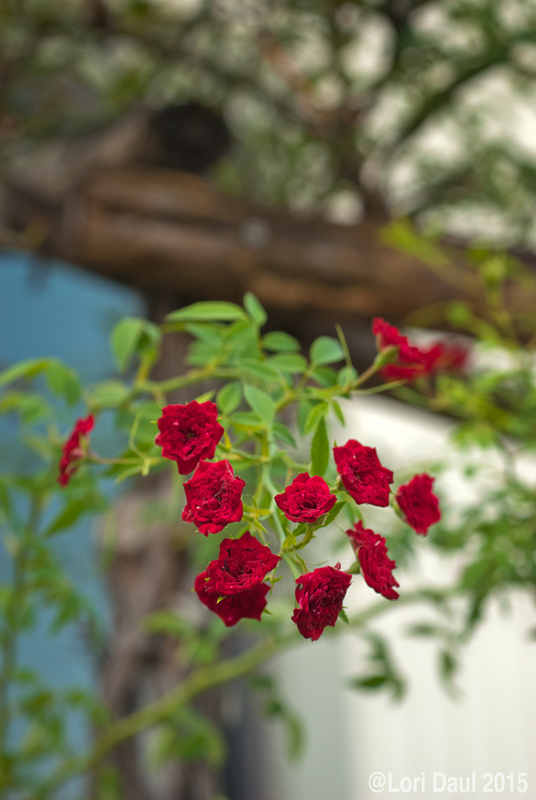 On a rustic trellis along the sidewalk, rose ‘Red Cascade’ lived up to its name. 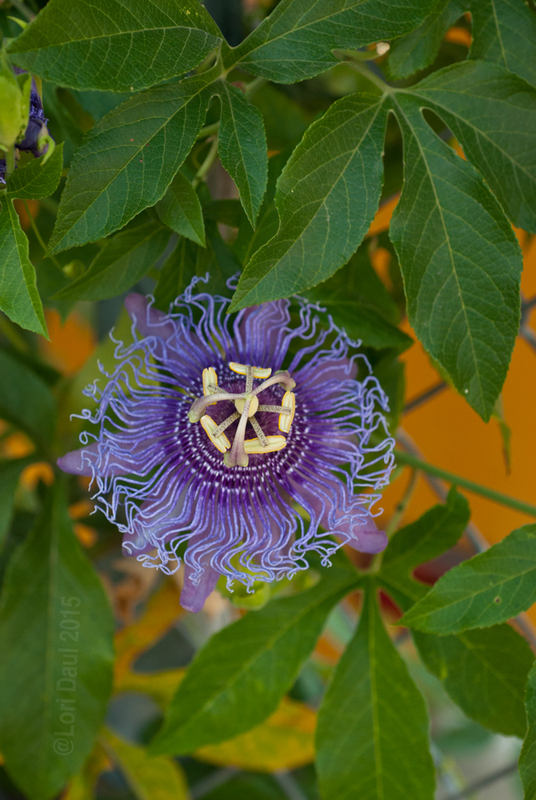 The exotic flowers of Passionflower cover a chain link fence between a sidewalk and parking area. In my experience, it tends to spread like crazy, so this is the perfect spot to keep it in bounds! This is the host plant for the gulf fritillary butterfly. 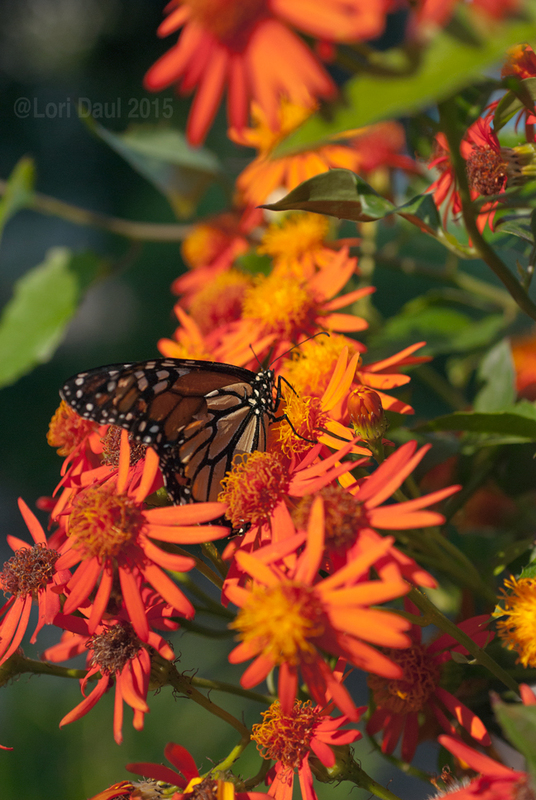 Also a hit with butterflies is Mexican Flame Vine. Backlit by the late afternoon sun, it really did look like it was alight! 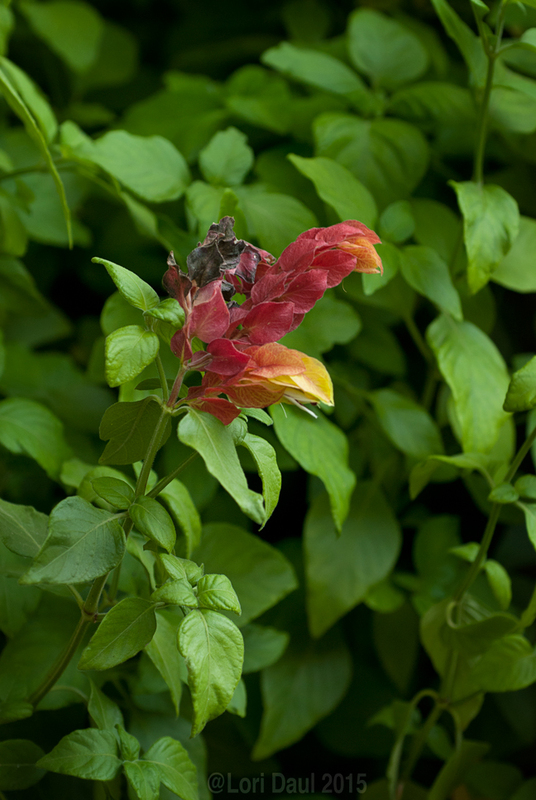 It was an ideal plant for butterfly camouflage. 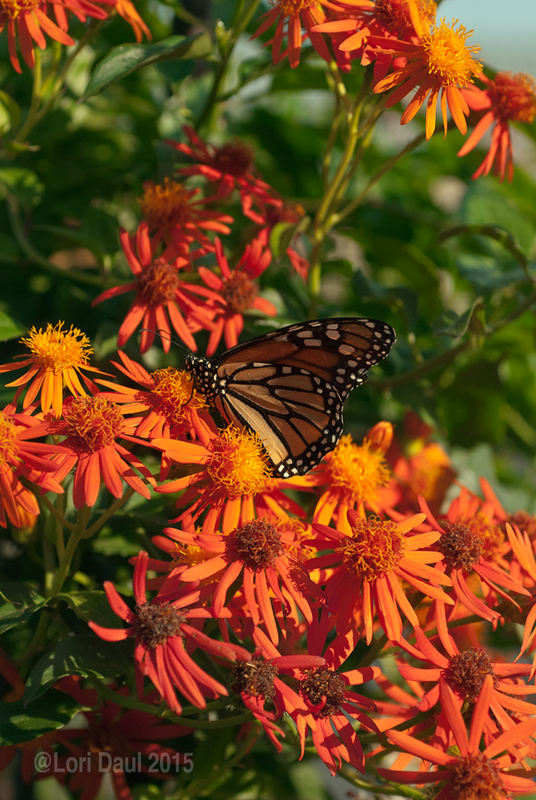 Perfect timing for the monarch migration! 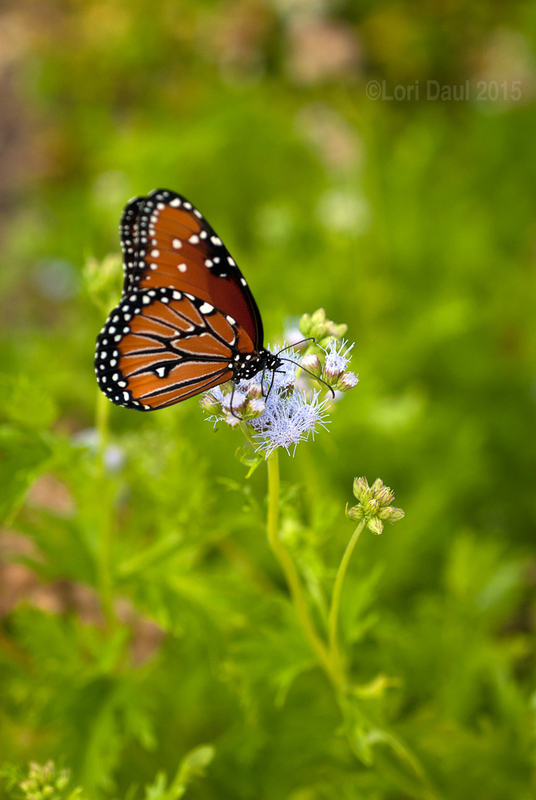 Also popular with the butterflies was native Gregg’s Mistflower. 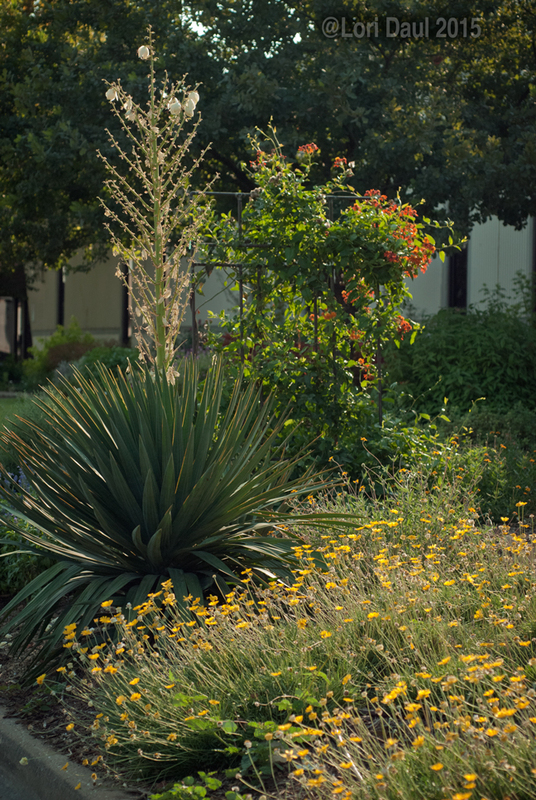 Down at the curb, tough native four-nerve daisies and a softleaf yucca add evergreen interest. 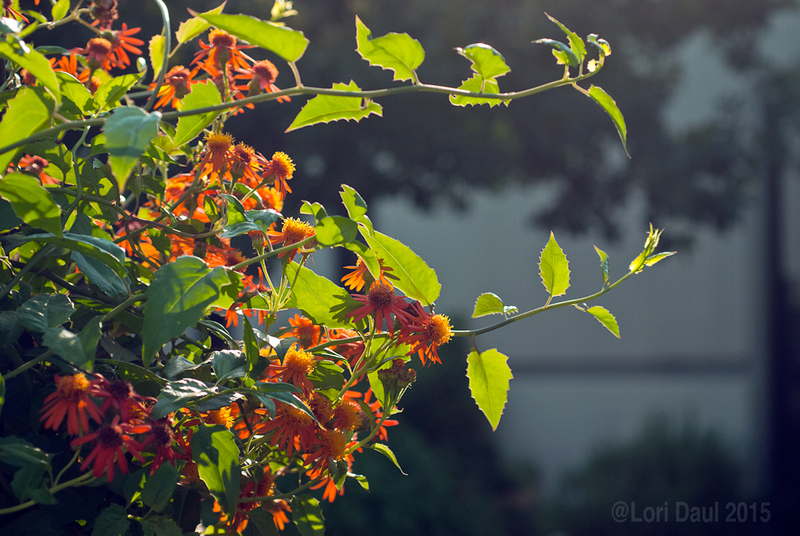 You can see the Mexican Flame Vine in the background. 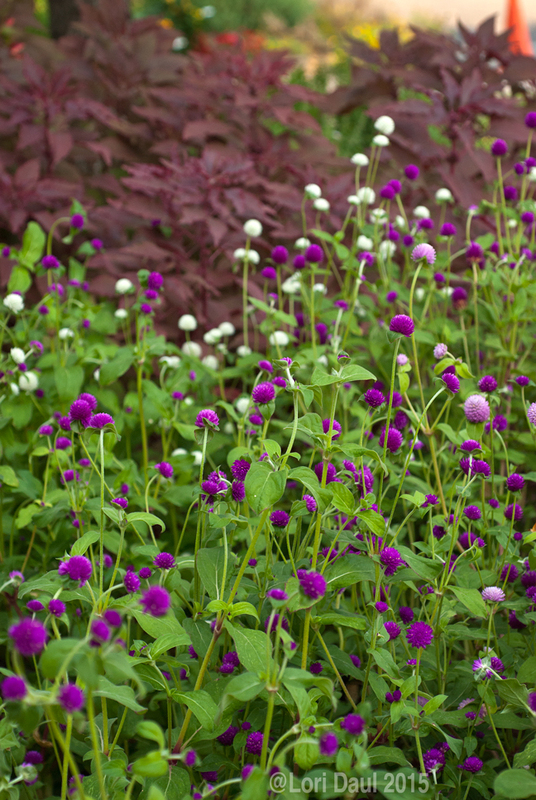 While the Demonstration Garden is free and open to the public, there will be Master Gardeners on hand to answer questions during the tour. 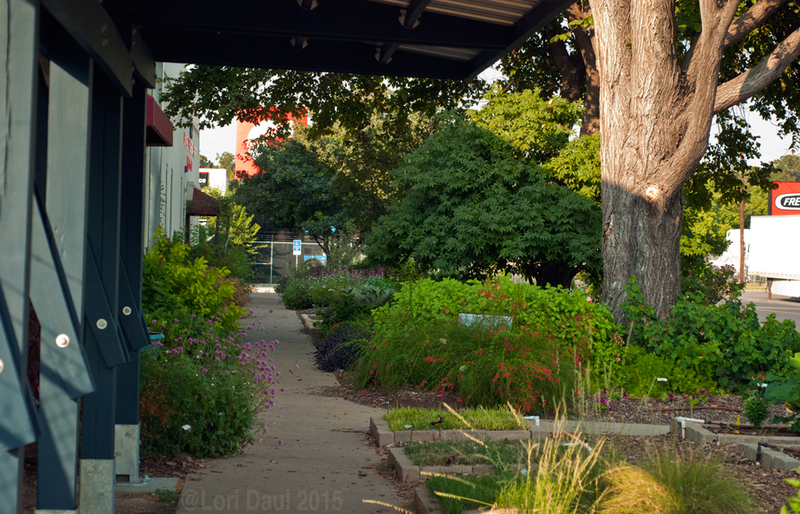 Read more about the Demo Garden here and check out a photo gallery here.